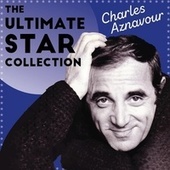 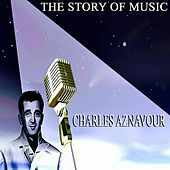 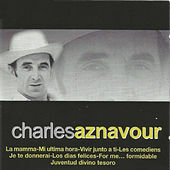 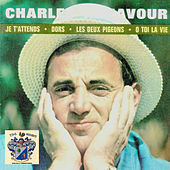 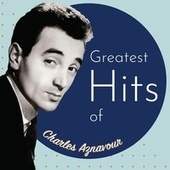 By the age of nine, Charles Aznavour knew he wanted to be a singer. 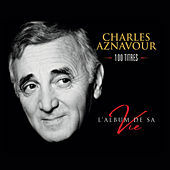 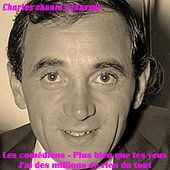 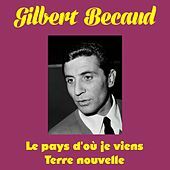 Born to performer parents who fled the Turkish massacre of Armenians in the 1920s, Aznavour (born Chahnour Varenagh Aznaourian) dropped out of school before age 10 and was performing in beer halls in Paris and around the countryside as he matured. 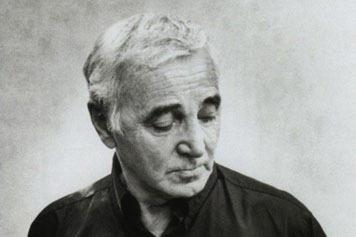 Part of a traveling duo, Aznavour began to compose songs while his partner went out whoring. 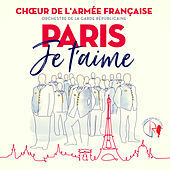 When Edith Piaf heard his work, she paved his way: she mentored the singer, convinced him to go solo, and brought him on her international tours. 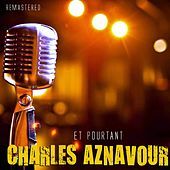 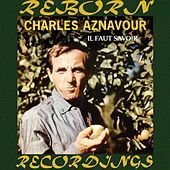 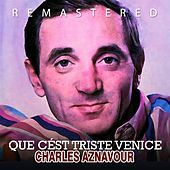 Over 600 compositions later, Aznavour is respected as the man who brought class issues and gritty street tales into the chanson tradition. 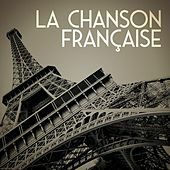 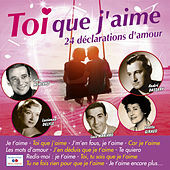 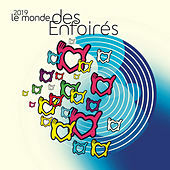 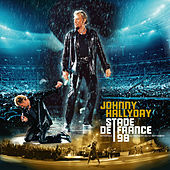 (Chanson was a major style of French music before rock 'n' roll.) 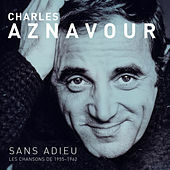 A superb stylist and inimitable (if maudlin) lyricist, Aznavour also acted in films by François Truffaut and Jean Cocteau. 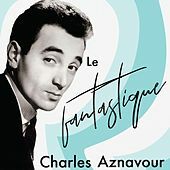 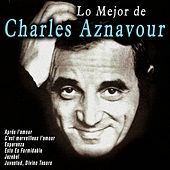 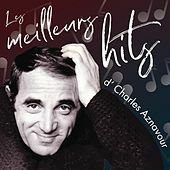 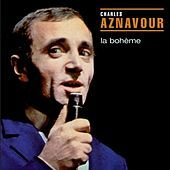 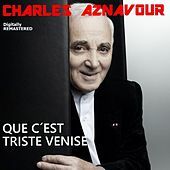 Despite - or perhaps because of - his short stature, unusual voice and rough-and-tumble upbringing, Aznavour is one of the symbols of French chanson.